From a sturdy, sporty, rubber strapped TAG Heuer to a rose gold accented Raymond Weil dress watch, we’ve got the best watches for every guy this holiday season. While a luxury watch seems synonymous with an expensive watch, it doesn’t have to be that way: we’ve shopped around on our selection of over 1,000 watches to find you the best bang for your buck – so you don’t have to do the digging and can get right to the gifting. A slightly larger version of the best-selling Metro, this sleek and sophisticated timepiece is perfect for the city-dweller in your life. A sporty, wear-forever watch with a quartz movement, date functionality, and water resistance to 165 feet. This is our pick for the practical guy on the go who needs something off-duty appropriate. Rose gold plating on the thin hands and indexe coupled with an alligator stamp on the leather strap dress up this watch to make it look far more expensive than it’s palatable $750 sticker price. The Club Campus is a great choice for the guy who has his finger on the design pulse. The well loved German designed Club got a moody update with a dark grey face – but is still plenty legible thanks to the luminous hands and numerals. Nomos Glashütte Club 38 Campus Nacht, $1,650; troverie.com. 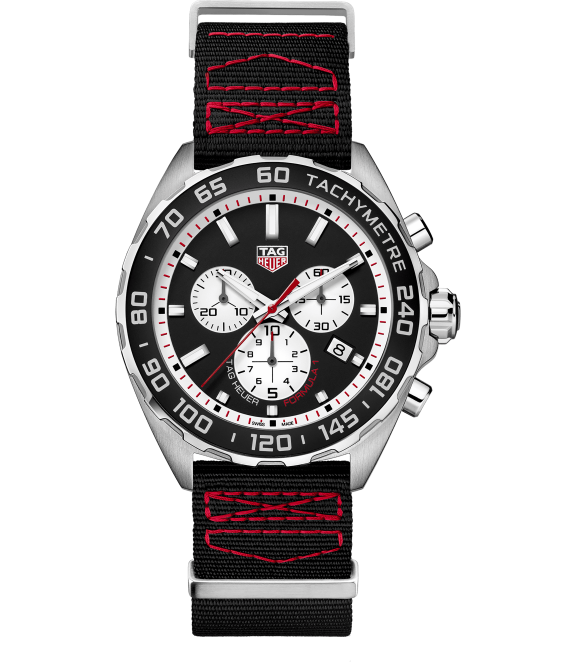 A casual sports watch in a fiery black-red color combo for the Grand Prix hopeful in your life. This TAG is a remarkably well priced chronograph, with a date indicator to boot. Hamilton shines here at what it does best: well made, affordable, reliable watches imbued with a sense of classic Americana. 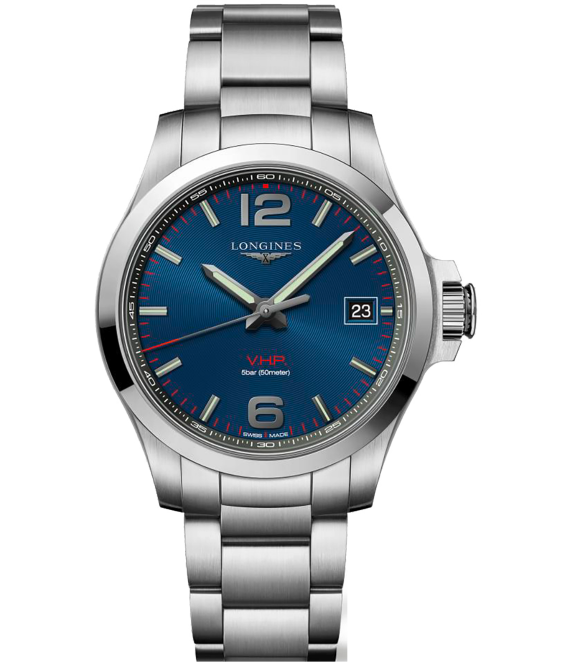 This one is water resistant, and boasts a date indicator, automatic movement, and 80 hours of power reserve. Hamilton Navy Pioneer Auto, $995; troverie.com. The stunning Maestro Automatic Skeleton looks at first glance like six figure investment – but this unique watch comes in at just under $2,000. Raymond Weil Maestro Men’s Automatic Skeleton, $1,950; troverie.com. 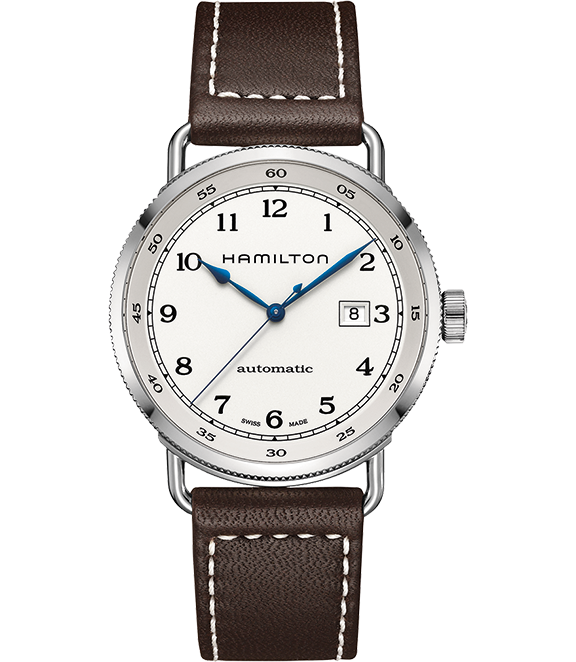 A nostalgic style for the vintage loving man, this watch was originally released in the 1940’s but remains a Hamilton top seller today.